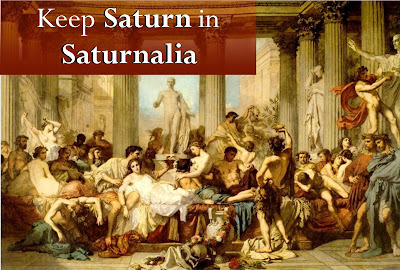 Saturnalia is an ancient Roman religious festival, celebrated in December with a week-long frenzy of shopping, gift giving, donning gay attire, feasting, drinking, bath orgies, baby gods, and pointy felt elf hats. Today, Saturnalia is recognized worldwide by nerds, from Ren Faire devotees to classical history scholars, and by weirdos like me who feel polyamorous about religion. Merry Christmas! Happy Chanukkah! Delightful Divali! Super Solstice! Mike, when you think of Berlusconi, think of Love Songs. Pfffffhahahaha! Molly! OMG! My mom just bought Nux Gallica a Cabbage Patch doll that looks exactly like your Baby Reidy. I'll have to show you after Christmas. Like a Rammstein concert, sans pyrotechnics... I like it.